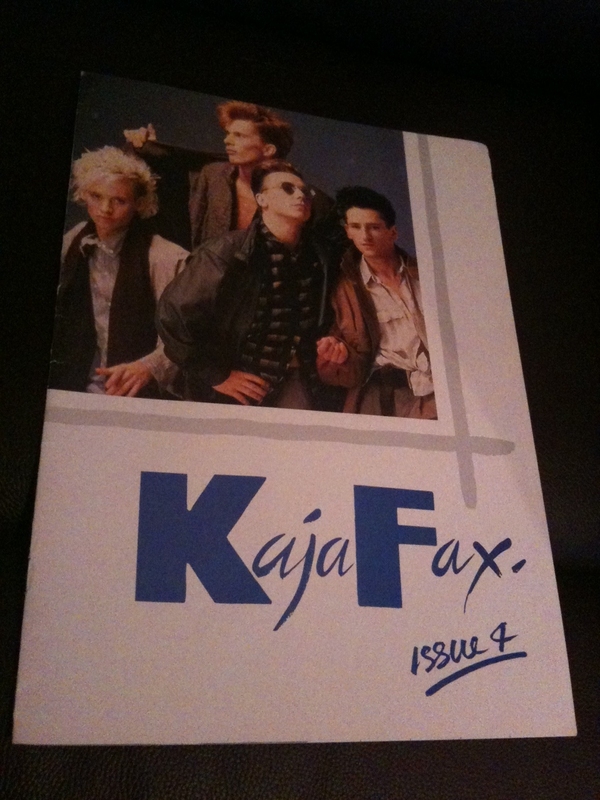 Regular readers to KajaFax will know that we respectfully took our name from the official fan club that existed back in the eighties. 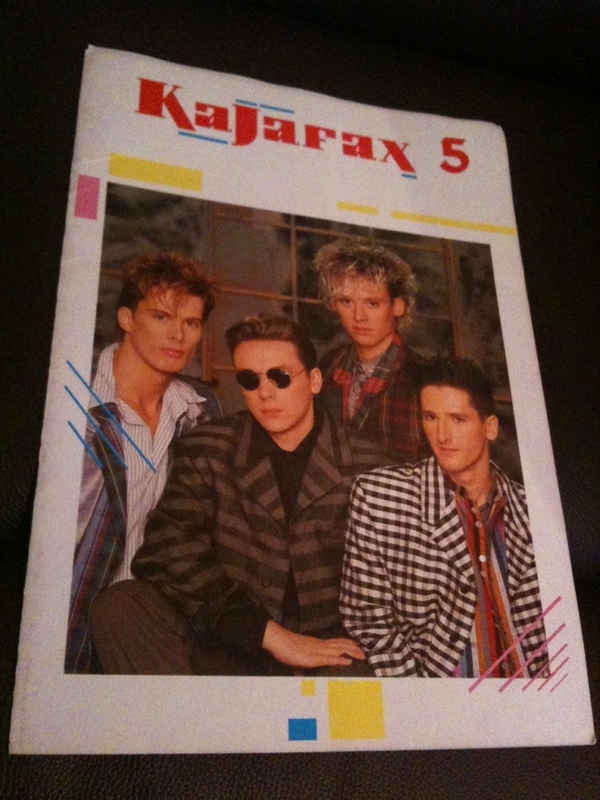 Of all the memorabilia out there, it’s the original KajaFax magazines that had evaded us for so long and we really thought we’d never get the chance to own our own set of five, until now. We have often uttered the words ‘holy grail’ when discussing these magazines, they are that rare! A very rare item anyway, it’s extremely rare to find all five together and in such wonderful condition, especially after nearly thirty years since they were published. 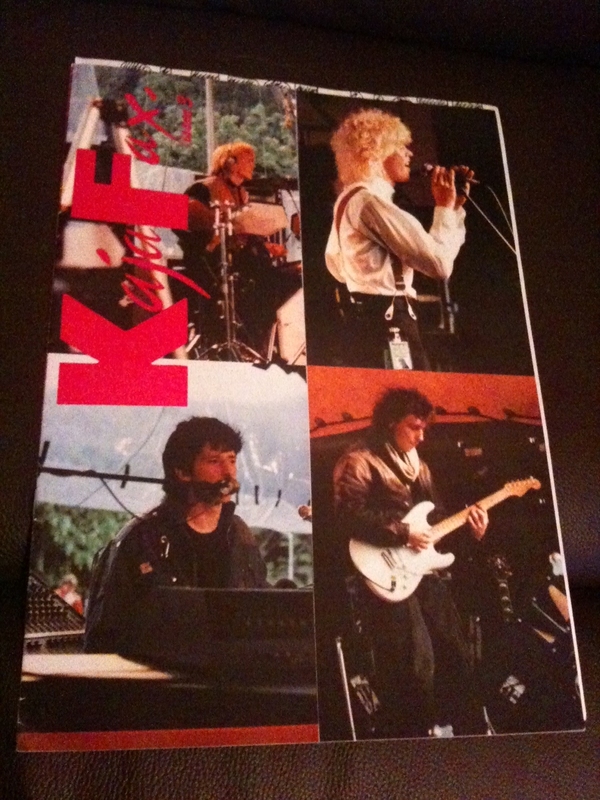 We extend our heartlfelt gratitude and thanks to Kelly Knouse, a huge fan of the band from the USA. 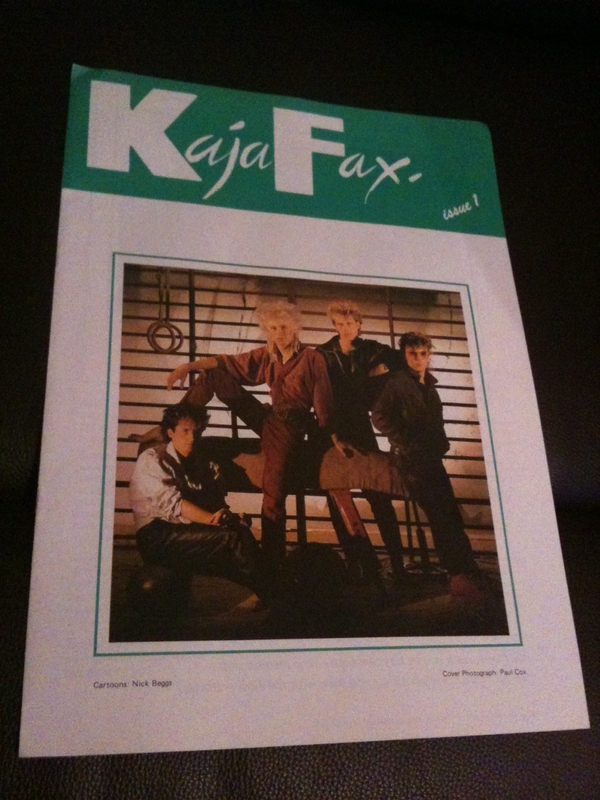 After talking with Kelly about the band and this site, she announced that she had the magazines tucked away and would love to send them to KajaFax to join our collection and as a gift to share with the readers. Kelly has owned these magazines from the start so we were truly overjoyed to receive these through the mail, they’ve travelled a long way to get here!! Kelly we can assure you these amazing items will be well cared for and enjoyed. 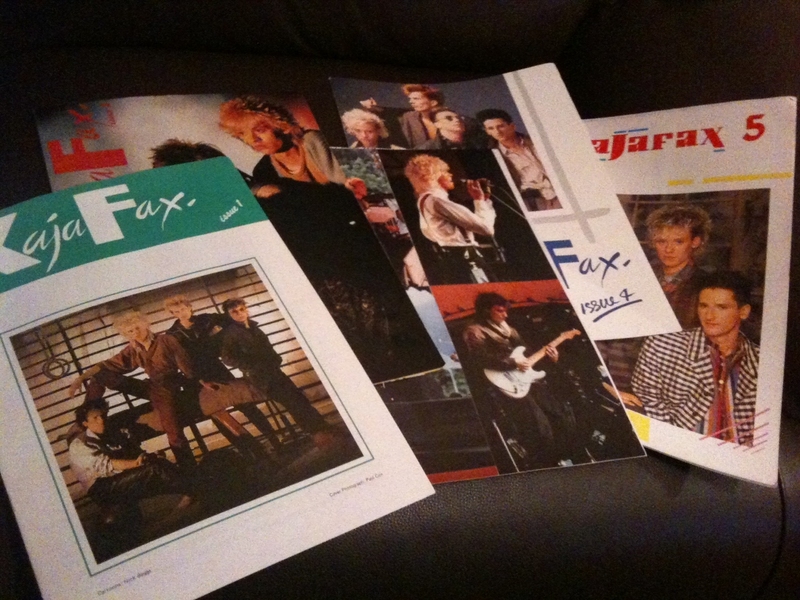 We had previously featured all five magazines with scans of every page thanks to KajaFax reader Florian. So beneath each of our own magazines, we shall give the link once again to the scans of the full content. 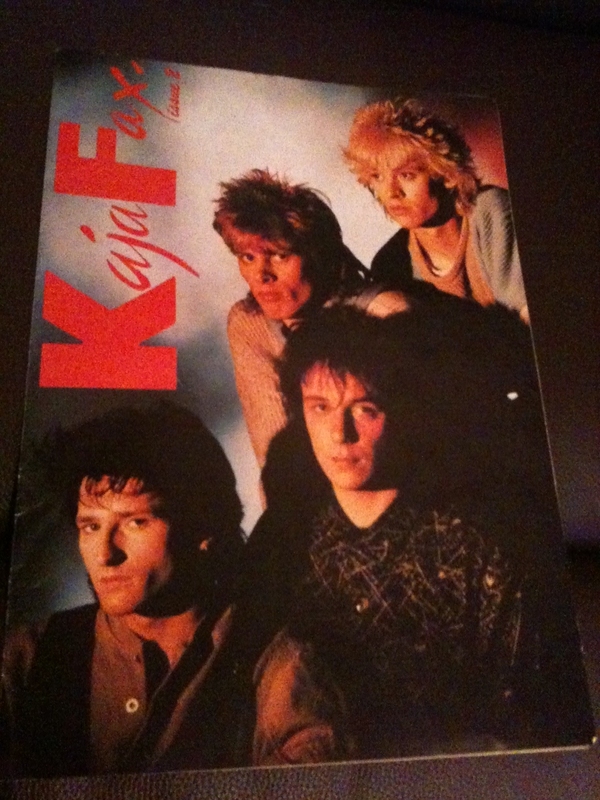 So happy to see them out of my closet and on display for all Kajagoogoo fans to see! Enjoy everyone!